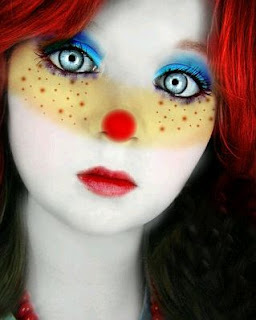 The clowns are often extremely interesting characters, and those are even more impressive when they have sad faces or expressions, because usually they transmit joy and fun, so it's really strange when they are the representation of sadness. Below you are going to find a group of images and pictures of sad clowns that you will like. 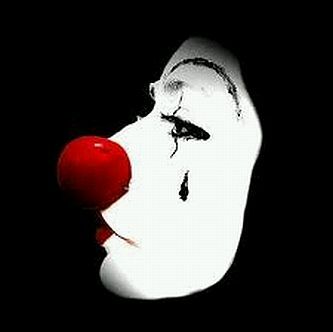 A sad clown with white eyes and mouth. A sad clown with the face covered by hands. 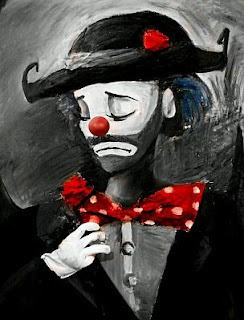 A drawing of a sad clown with a red tie. 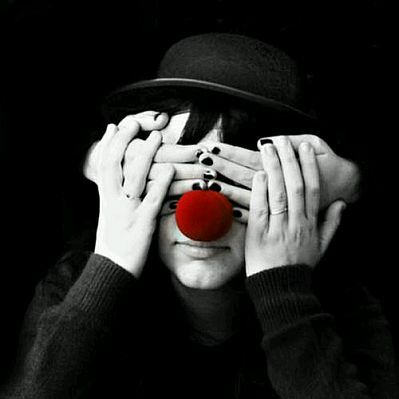 An image of a clown with a red ball nose crying. 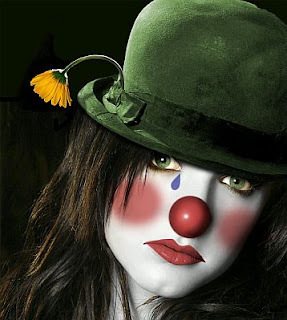 A sad female clown with a dead flower in his hat. 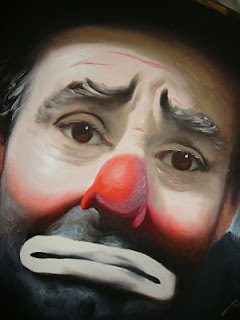 A sad clown's tender look. 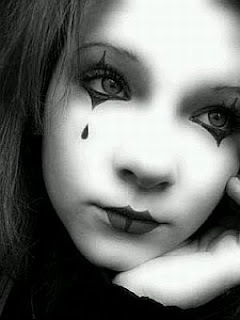 An image of a young clown with sad eyes in black and white. 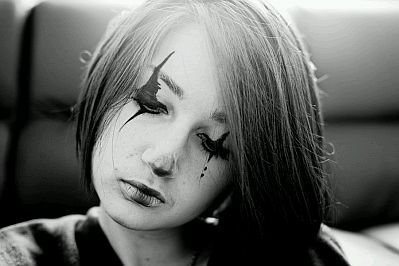 Another beautiful sad clown in black and white. 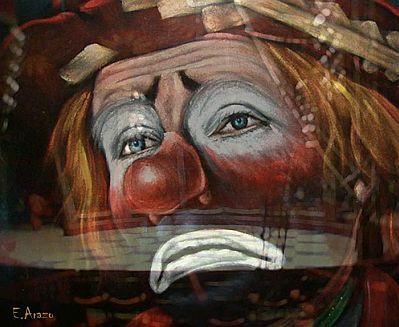 A very expressive clown's face. 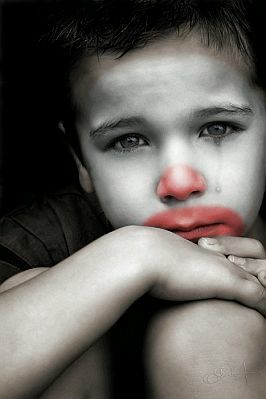 I hope you have enjoyed these images with sad clowns.